How do you identify and nurture the unique qualities that make a leader? Learn from Jake Harriman, founder and CEO of Nuru International, a U.S.-based social venture that empowers individuals living in remote and rural areas to combat extreme poverty in their communities. As a Bronze Star-recipient and Stanford University alum, he was inspired to found Nuru after being faced with the effects of extreme poverty in war-torn regions of the world during four tours of duty. Honored as a White House “Champion of Change,” and selected as a Dalai Lama “Unsung Hero of Compassion,” Harriman will explain why it’s better to invest in leaders than infrastructure and how to unlock potential within your current ranks for success in your business and communities. Jake Harriman is the founder and CEO of Nuru International, a U.S.-based social venture that empowers individuals living in remote and rural areas to combat extreme poverty in their communities. Jake was inspired to found Nuru after being faced with the effects of extreme poverty in war-torn regions of the world during four tours of duty in the Middle East, Africa, and Asia. There, Jake witnessed the most severe levels of poverty and developed a deeply-held belief that many 21st century ills including terrorism and occupation can only be eradicated by ending extreme poverty. A Bronze Star-recipient and Stanford University Graduate School of Business alum, Harriman has been honored as a White House as a “Champion of Change,” selected as a Dalai Lama “Unsung Hero of Compassion,” and featured in profile pieces by Forbes, The Huffington Post, ABC News, and more. Born in rural West Virginia, Harriman attended the U.S. Naval Academy before serving seven and a half years as an Infantry and Special Operations Platoon Commander in the Marine Corps. He led four operational deployments, including counter-terror operations in the Horn of Africa and two tours of Iraq. Jake’s experiences in combat convinced him that the “War on Terror” would not be won on the battlefield alone—and that the coordinates of someone’s birth place should not dictate the opportunities they are presented with throughout the course of their life. 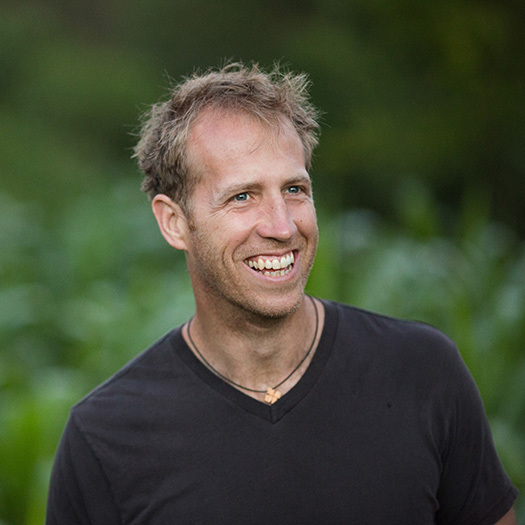 Jake left military life to enroll at Stanford where, with the assistance of roughly 30 peers and professors, investments from Silicon Valley, and donations from around the world, he moved to Kenya and founded Nuru International. Nuru operates in the poorest districts of Kenya and Ethiopia and focuses on four major areas of need: hunger, economic shocks, preventable diseases, and quality education. Based on thorough research of the successes and failures of the last 50 years of international aid relief, Nuru’s programs have to date enabled over 100,000 people to lift themselves out of extreme poverty through programs aimed at increasing crop yield, introducing entrepreneurs to new markets and capital, and counseling local leaders on modern educational and medicinal advancements. Nuru’s ultimate goal is to create a thorough roadmap to eradicating poverty that can be shared with NGOs worldwide.